New Delhi July 12 (IANS) The National Green Tribunal (NGT) on Thursday ordered the Uttar Pradesh government to seal all the hand pumps and borewells extracting mercury in six districts of the state. According to a report by the committee appointed by the green court due to industrial activities water from hand pumps and borewells has mercury content. The six districts include Shamli Ghaziabad Meerut Baghpat and Saharanpur. A bench headed by NGT Chairman Justice Adarsh Goel directed the state authorities to seal all the hand pumps and borewells which are extracting mercury. 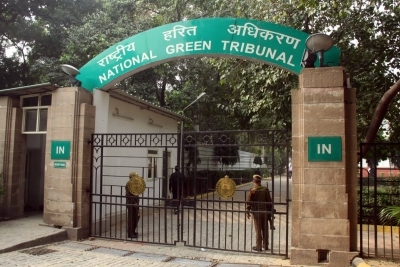 Earlier the NGT had ordered the state to supply potable water in certain villages of western Uttar Pradesh.